After a surprising slump in the use of revolving, i.e. credit card, debt when in the months of June and July US consumers "charged" only $639 million during the peak summer months, moments ago, the Fed reported that in August, consumer credit posted a significant rebound, rising by $20 billion, above the $15.0 billion expected, and bringing the total to a $3.94 trillion, a 6.2% annualized increase from a year ago, and a new all time high, largely on the back of a newfound love with credit cards. 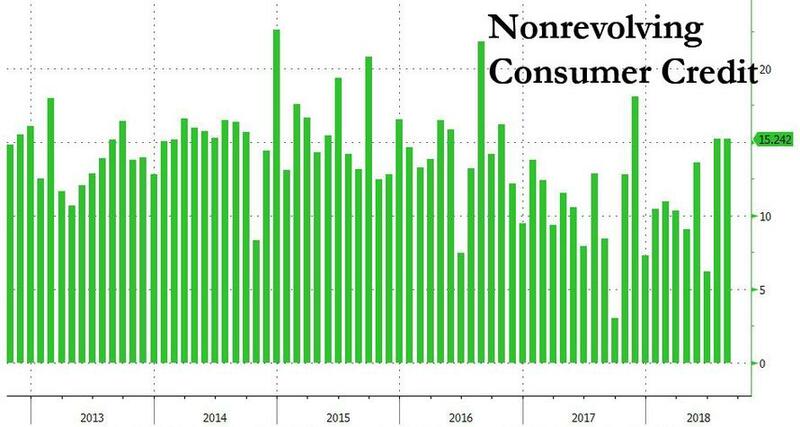 More notably, after a two-month dormancy in using credit cards, American consumers returned to doing what they do best - spending money they don't have - with revolving credit jumping by $4.8 billion, the highest monthly increase since May, and the second highest of 2018. The monthly increase brought the total to a new all time high of $1.042 trillion. 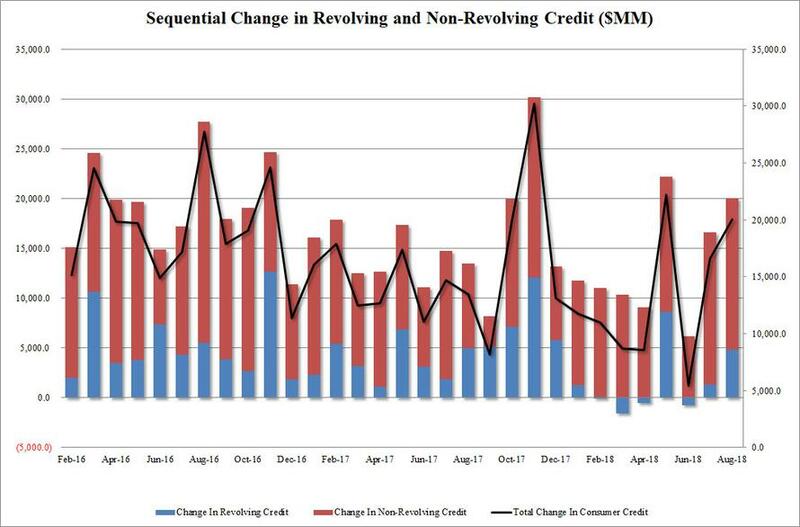 At the same time, growth in non-revolving credit, i.e. 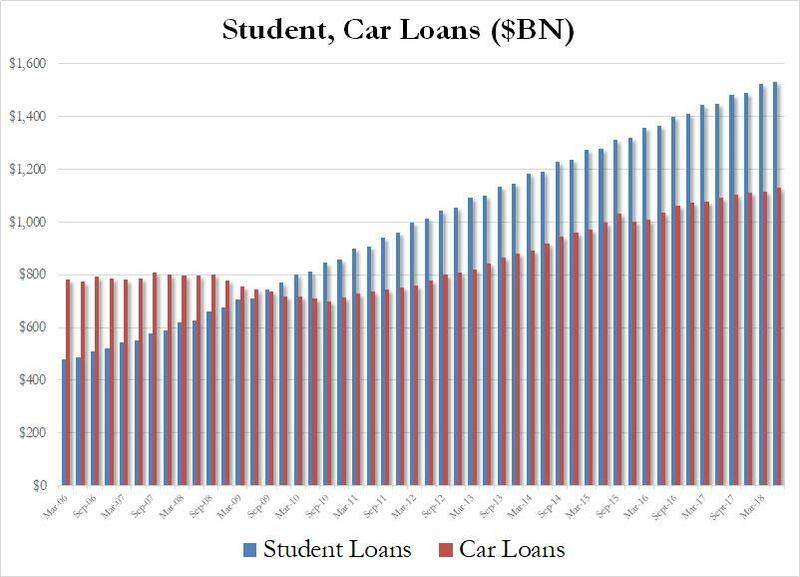 student and auto loans, was stable and in line with recent months, increasing by $15.2 billion, the same as July increase, and also bringing the total to a new all time high of $2.894 trillion. 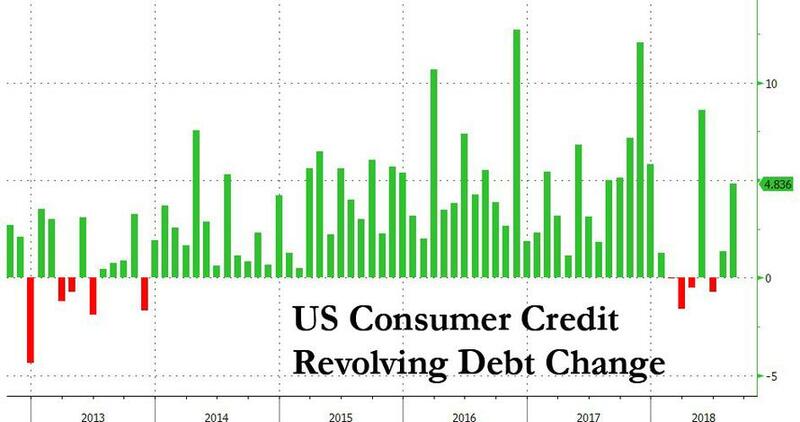 In other words, while Americans continued to spend on cars and college, they once again rediscovered their enthusiasm to buy every day items on credit. And while the rebound in revolving credit use will silence any questions about the resilience of the US consumer during the summer, the recent dramatic upward revision to personal savings notwithstanding, one place where there were no surprises, was in the total amount of student and auto loans: here as expected, both numbers were at fresh all time highs, with a record $1.532 trillion in student loans outstanding, an increase of $8 billion in the quarter, auto debt also hit a new all time high of $1.131 trillion, an increase of $18 billion in the quarter.